USB 3.0 cable (AA M/F) is 10 times faster than hi-speed USB cables, with transfer rates up to 5Gbps. Bi-directional data interface allows data to only flow in one direction at a time to increase the theoretical bandwidth. Optimized power efficiency offers lower active and lower idle power requirements. 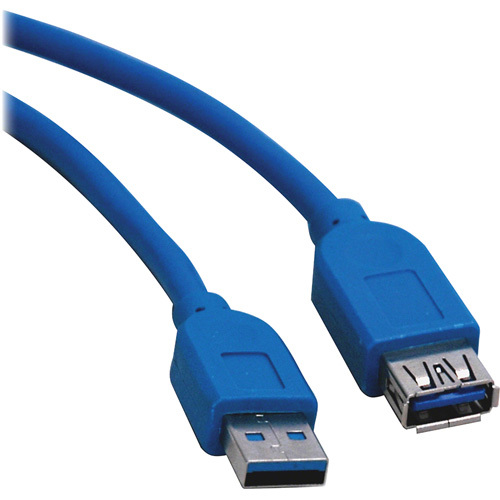 10' USB cable is designed for computers and peripherals with USB 3.0 capabilities.